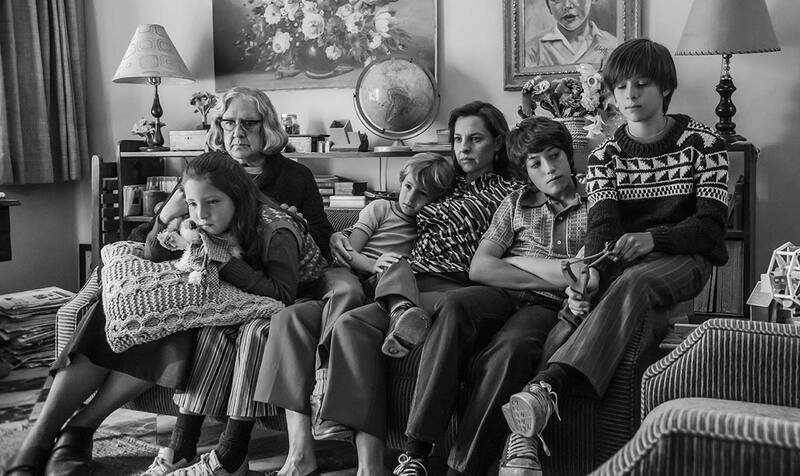 The opening image in ROMA is one that starts off as mysterious, then turns monotonous, and finally, becomes a haunting metaphor for the plight of the working class. The image is of the outdoor tiles of a driveway being washed as buckets of water cascade across them again and again. We hear scrubbing, but the image remains stoic, locked down on those tiles. Then, after going on for a number of minutes, we catch the subtle glimpse of an airplane flying in the sky high above, reflected in the water. The upper class’s mobility, literally, is juxtaposed against the tediousness and fixed life of a housekeeper. The housekeeper scrubbing those tiles daily, due to the prolific feces left by the family dog, is Cleo Gutierrez (Yalitza Aparicio). She is the quiet, stoic woman working for a middle-class family living in Mexico City in the Colonia Roma neighborhood. Cleo takes care of all the tasks she’s given without complaint. It’s dirty work, the kind thrust upon the poor, and she does well and consistently, never moving too fast or becoming panicked. The job is a constant and she’s thankful for the employment, even if it is often degrading and boring. Yet, Cleo is much more than the family’s housekeeper. Additionally, she is a nanny to the four young children, and as the film goes on, Cleo more and more is shown to be the very foundation of the home that the family can rely upon. She becomes the shoulder for the brittle mother Sofia (Marina de Tavira) to cry on when her husband leaves her for a younger woman. Cleo is also the constant for the children, playing with them and taking them to the movies when their dad disappears. And even when the family is rocked by political unrest, unpaid bills, and near-death experiences, Cleo remains their rock. The character barely utters a dozen sentences in Alfonso Cuaron’s autobiographical film about his childhood in Mexico in the 1970s, but her presence constantly speaks volumes. By the nature of her job, she is almost omnipresent, suggesting a soulful guardian angel almost, one watching over everyone in the house. What does Cleo get in return? Little at first, other than steady employment. But as the story progresses, she will rely upon them to become the family that she cannot find on her own. Cleo hungers for love and her own family, but when she takes on a lover, it backfires. Fermin (Jorge Antonio Guerrero) is not only a selfish lover, more prone to prune over his athletic body in the mirror then worship her ripe and sensual one, but he’s a man-child who shirks his responsibility when he impregnates her. He runs away, leaving Cleo high and dry, and without anywhere to go. She’s crestfallen but perseveres nonetheless. She will clean up the mess of her own life with the same diligence as she does with the dog droppings. Cleo is nothing if not saintly, and Cuaron underlines that idea with visual wit throughout. When she tracks down Fermin who’s partaking in a martial arts class outdoors, Cleo unwittingly ends up being the only one present who is able to balance herself standing on one foot. All the students fail as Cleo inadvertently shows them up. She’s positively ethereal as she defies gravity and common human fallacy. Cuaron, acting as his own director of photography, shoots such scenes with calm dignity and grace that borders on the religious as well. Cleo is serene through every bit of drama, sometimes suffering in silence as if she’s Christ on the cross. She quietly navigates every sling and arrow tossed her way, be it sexism, classism, crashing waves, or rushes to the doctor in the middle of city traffic. The director, who also wrote the screenplay, seems content to give Cleo little personality beyond her stoicism. What are her genuine opinions about the family she’s taking care of? Does she agree or disagree with the political unrest all around her? Are their revelations in her backstory that would help fill in the blanks of her personality? Cuaron never tells, letting Cleo remain too much of a cipher. It’s clearly intentional, and perhaps fitting with the memory of her from when he was a child, but still, it diminishes her. 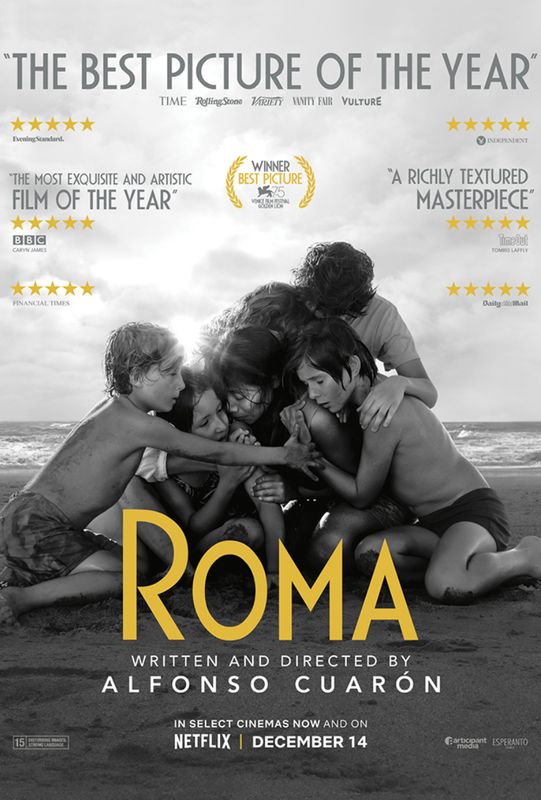 ROMA is the year’s most gorgeous film too, capturing people and places with stunning clarity and intimacy. The film has been color-corrected with warm hues of black and white. It’s all so handsome, even scenes of poverty are photographed with the elegance of a coffee table book. And when Cuaron moves his stoic camera, which isn’t often, it is gob-smacking. The casual drift inside a baby store towards the window framing the beginnings of a violent protest makes for a shocking juxtaposition. The horrors in the background of a childbirth scene will haunt you for a long time. Even the tracking shot of Cleo wading into the ocean’s waves will take your breath away as you wonder how he filmed that without being pulled under by the tide. 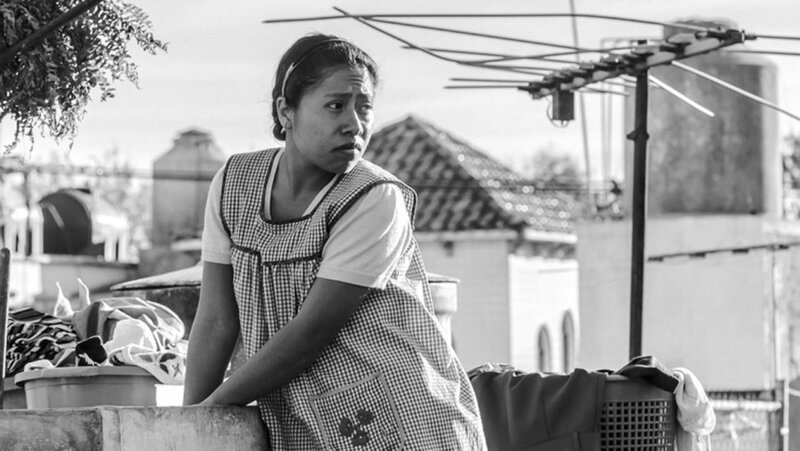 Much has been made about seeing ROMA on the big screen, rather than on Netflix, one of the partners in its distribution. Frankly, all films should be seen in the theater, with an audience, but this film especially benefits from larger screen size. The imagery that Cuaron shot deserves such a showcase. But no matter how you come to view this one, do so as it is an essential of 2018. 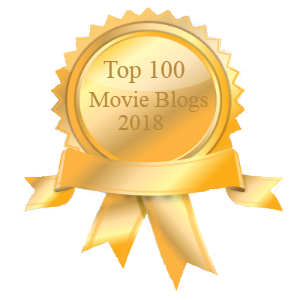 The film may be subtitled, and take place in another time and place, but its story is ageless, and its revelations about humanity are moving, provocative, and truly something to see.